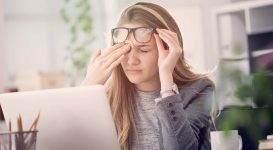 Migraines and Vertigo: Why Does Vertigo Occur Alongside Migraines? Why Does Vertigo Occur Alongside Migraines? Often, when people think of migraines, they think of a headache that’s persistent and located behind the eyes. Even those who suffer from migraines often don’t realize how many side-effects they have. In fact, some people who suffer from migraines don’t even realize that’s the problem. Several patients have gone to the doctors complaining of constant nausea and dizziness. They then found out they suffered from a migraines disorder, and were very surprised with the news. Vertigo associated with migraines can strike out of nowhere. You may feel fine one minute, and then out of nowhere you move your head to one direction, and a dizzy spell takes hold. It’s important to know what exactly is causing this. Many people think they have an inner ear infection, and your doctor may even treat you for one unknowingly, especially if your symptoms are new. 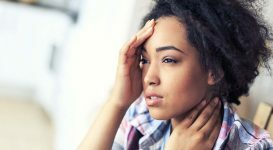 However, once you determine that you have a migraines disorder that’s causing the vertigo, it’s much easier to get the right treatment and stop experiencing so many attacks. Vertigo causes you to feel an overwhelming sense of dizziness. 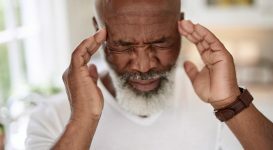 This dizziness can get so bad that you’re forced to stay in one location for prolonged periods of time, and this is often accompanied by a feeling of having a heavy head. 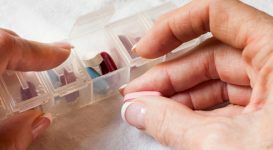 Even small activities during an episode could cause a migraine, which could take away from your quality of life, as most people have scheduled activities they need to complete throughout the day. 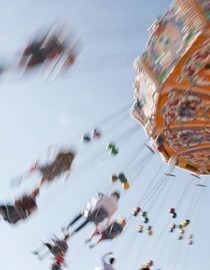 Vertigo dizziness is similar to the dizzy feeling you experience as a young child, after going around on a merry-go-round. The dizziness that occurs with vertigo is described as ‘incredibly frustrating’, making your head feel like a bowling ball, makes it difficult to walk a straight line, and is often accompanied by a feeling of nausea. Those who experience it often feel they’re unable to eat, and bright lights can aggravate the sensation. The best description of vertigo related to migraines is feeling “unwell”. Your memory and concentration is also often affected by this migraine symptom. Some people feel confused, disoriented, and experience sweating. Muscles spasms and ticks are also associated with a headache-free migraine. As mentioned, the most confusing part of this type of migraine is that no real headache occurs, only the outside symptoms. A migraine is caused by changes in the brain. There’s increased blood flow to the brain during an attack, which causing the sensation of dizziness. The area of the brain responsible for balanced is affected by the increased blood flow, and the vessels within the brain constrict. Many treatment methods used for migraine treatments with and without vertigo work to relax the blood vessels in the brain, allowing blood to flow more freely. In many causes, this form of treatment is very effective on its own. 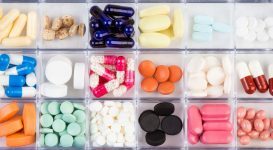 Seeking out the proper treatment is crucial for migraine suffers, as it not only takes away from your quality of life, but can also be dangerous when an attack occurs out of nowhere. Seeking treatment from a qualified physician will lead you down the path towards enhancing the quality of your life. "I realize that being subjected to this level of pain can affect my relationships and make me feel resentful," writes Barbara.